With Labor Day just around the corner, we here at Petswelcome say it’s not too early to start planning a long weekend of pet-friendly leaf peeping in New York State. 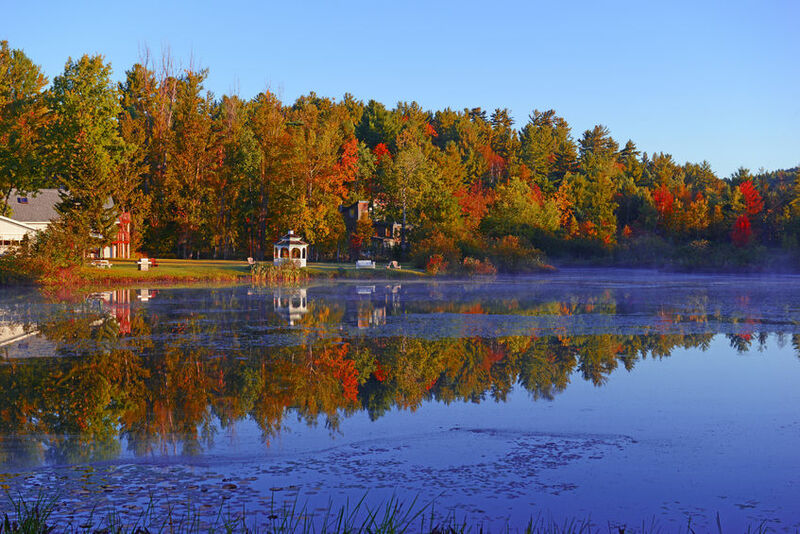 In may be a bit early for peak color but a nice way to kick off the cooler days of fall is to get your and your pooch up to the annual town-wide garage sale in Warrensburg, New York, located in the foothills of the Adirondacks. This year it’s being held the last weekend of September, the 29th and 30th, though many of the booths open at 5 p.m. on Friday, if you like getting a first crack at things. Because of the huge crush of people that descend on the town, we recommend that you stay nearby, in Saratoga Springs or Lake George. You never know what you’ll find at the Warrensburg town-wide garage sale! 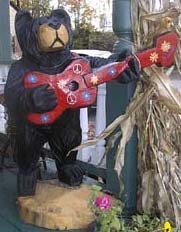 The pet-friendly Catskills are a also wonderful vantage point for seeing the autumn colors. 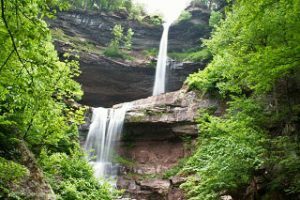 The walk into Kaaterskill Falls just outside of Haines Falls, New York, has become incredibly popular over the past couple of years. The crowds lessen with the cooler temps; check it out in October–color ought to be close to peak and the falls are always beautiful. But keep your pup on a short leash, wear good hiking boots, and don’t get yourself hurt or worse trying to take a selfie. For more on lodgings and places to eat in the area, see our pet-friendly Catskills Travel Guide. Cooperstown is another great destination for seeing the colors. Time your visit for the Farmers’ Museum Tractor Fest on October 6 an 7, and you and your canine can take a look at over 60 classic tractors, and watch the tractor parade. 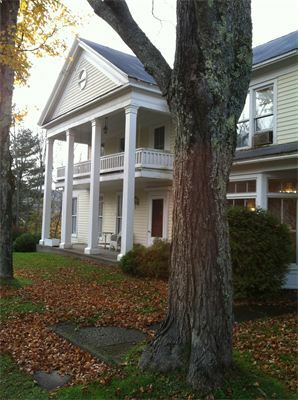 Stay right in Cooperstown at either the pet-friendly Horned Dorset Inn or Willow Tree Inn. These are just a few of the many places where you can catch the fall foliage in New York State, so start making plans now so as not to miss the splendor of New York’s most colorful season.